Project Mosul is a cyber-archaeology project using tourist photos to help reconstruct invaluable relics lost to war in the Middle East. An EU-Funded cyber-archaeology project, the Initial Training Network for Digital Cultural Heritage (ITN-DCH), has turned their focus to the Middle East. 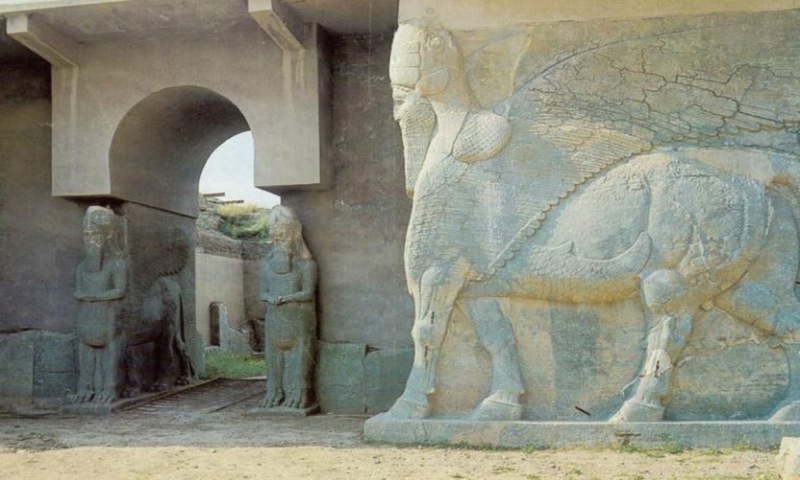 Two doctoral student brainstormed a new arm of the project, Project Mosul, after seeing footage of ancient artifacts being destroyed in the Mosul Museum, Iraq. Ph.D students Chance Coughenour and Matthew Vincent determined that using photogrammetry software they could digitally restore (and preserve) the artifacts. All they needed was enough standard two-dimensional digital photos from which the software could build the three-dimensional model. So, the two looked to the public. On the whole, it is a project where anyone can submit their photographs of lost artifacts; while they also recruit volunteers to help sort and reproduce the digital art-work. The project’s website indicate locations from which they are seeking photos and what work is waiting to be done. Thus far, they have 20 recreations posted on the project’s site. However artifacts have more than one recreation, each 3D video shows another angle from which one could view the artifact, revealing different details. A still frame example of a Project Mosul 3D reconstruction of statue of a priest from the ancient city of Hatra. The project has now added a location for artifacts lost in the recent Nepal earthquakes. Follow this link to see the entire 3D gallery of Project Mosul. Read more about the project creation and cyber-archaeology at the BBC.